Did you know the average college student graduates with $35,000 in loans? If you're one of the unlucky people who graduated with a boatload of debt, your luck is finally turning. 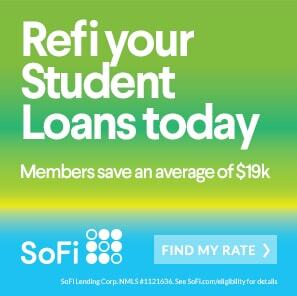 SoFi can help you consolidate and refinance your student loans. The process is easy - get pre-approved in just 15 minutes.